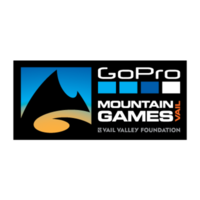 An event for the entire family at the 2019 GoPro Mountain Games! 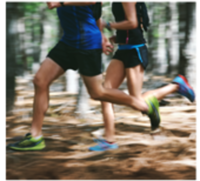 Ditch the wet wipes and dive head first into the Mountain Games’ legendary fun run guaranteed to get you gooey. This is an untimed, family-friendly run. Short lap style with 2 mud pits and plenty of obstacles to keep you interested. Grab a pal (or a dozen), it’s time to get dirty. Extra super fun points awarded for costumes! Have a tiny human that loves to splash around in natural goo? This division is for you. Short lap style with 2 mud pits and enough obstacles to keep things interesting. The more the merrier! Grab your ultimate mountain fam and get after it! Each June the GoPro Mountain Games brings athletes, art, music and mountains together in Vail, Colorado, to create the best all-around mountain experience available anywhere in the world. Founded in 2002, the family-friendly event now hosts more than 3,000 pro and amateur athletes in 12+ disciplines and 30+ events, plus three nights of free concerts at the GoPro Mountains of Music at the Gerald R. Ford Amphitheater. The event is hosted by the Vail Valley Foundation, in partnership with GoPro, the Town of Vail, GMC, Go RVing, L.L.Bean, Yeti, and media partners Outside Magazine and Outside TV.